Welcome to Pinehurst Family Care Center! Pinehurst Family Care Center, P.A., is a medical practice in Pinehurst, North Carolina. As one of the largest family medicine practices in the Sandhills region, the Pinehurst Family Care Center staff sees a large number of patients on a daily basis, but they are fully dedicated to ensuring that every patient receives a personal touch. We see patients for Cholesterol testing and treatment, EKG testing, Thyroid Disorder testing and treatment, Cancer Screening, Arthritis treatment, Digital X-Ray, Allergies, Skin Problems, Immunizations, Pediatric Care, High Blood Pressure, ADHD treatment, Asthma treatment, Sports Physicals, Women's Health, and Diabetes. As well as Body Contouring and Skin Rejuvenation/tightening. Our comprehensive and continuous care creates a trusting doctor-patient relationship. As the healthcare system grows ever more complex, the family physicians at Pinehurst Family Care Center, P.A. are uniquely suited to act as patient advocates, making sure that physical, emotional, and behavioral well-being of the whole person is achieved. Our practice is currently led by two experienced Family Physicians and four mid-level providers, working in a modern, well-equipped facility with a relaxing atmosphere. We utilize FirstHealth Moore Regional Hospital’s adult and pediatric hospitalists for inpatient admissions in order to focus on efficient and competent outpatient care which includes follow-up of newborn, emergency room, and other hospital patients. We have excellent relationships with our specialist colleagues, both medical and ancillary services when referrals are necessary. We urge you to investigate our website further to learn more about our providers, our staff, our services, patient education links, insurances accepted, and administrative policies. Thank you for visiting and considering utilization of our practice. 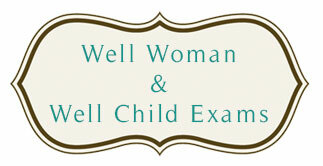 We offer comprehensive exams for women and children, including an examination of reproductive health and an evaluation of your child's growth and development. 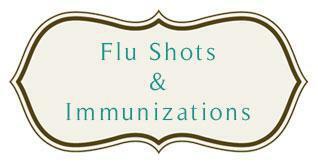 We offer annual flu shots as well as immunizations for patients of all ages. Lab services are available on site -- 24 hour turn around!